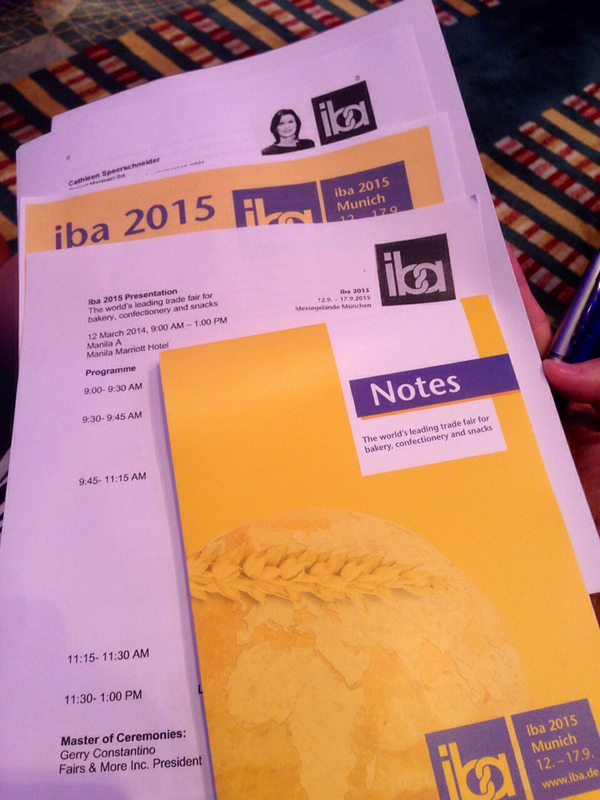 I recently learned about iba, the world's leading international trade fair. Having been established 65 years ago, it's a great venue for gathering information and establishing business contacts in the world of bakery, confectionery and snacks. It happens every three years and the next one is on September 12 to 17, 2015 in Munich, Germany. Ms. Speerschneider first talked about the iba 2012 which had a total of 1,255 exhibitors from 58 countries and 70,000 visitors, 61% of which are from outside Germany. Then she went on to describe what's to be expected of iba 2015. This time, there will be 12 equally attractive halls with each hall presenting a mix from different sectors. So no hall will be devoted exclusively for coffee or pizza. It's everything mixed together so the audience will be able to have a wide-range of experience. Mr. Wippler then proceeded to present the highlights of the accompanying programme, focusing particularly on the new activities that will happen in iba 2015. One new feature of the trade fair is that each day, there will be a special focal theme such as "Pizza & Snack" or "Coffee Expertise". Another exciting event is the iba cup where top teams of bakers and confectioners from 12 countries will compete against each other. 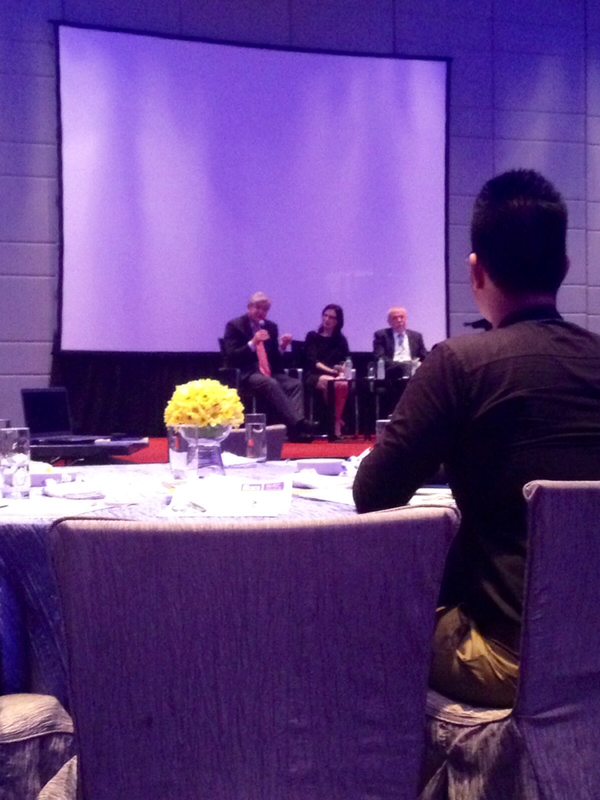 Mr. Wippler also presents outstanding training facilities of the Germans' bakers craft. So if you're going to Germany for iba 2015, make the most out of your trip and enroll in a course programme in one of Germany's best baking schools. Mr. Wippler referred Ms Linda Donnes from the German Bakers' Academy Weinheim as sources of further information on current course programmes. She can be contacted at info@akademie-weinheim.de or by telephone on 0049 6201 1070. You can also visit www.akademie-weinheim.de/mehrsprachigkeit/english for more information. 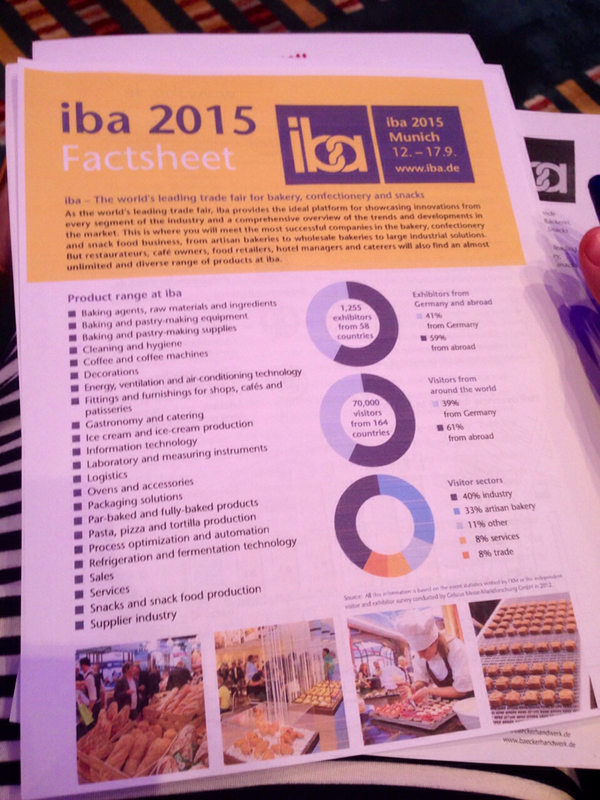 For more information on iba 2015, whether as an exhibitor or a visitor, visit www.iba.de.